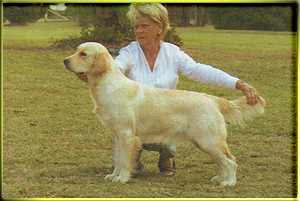 Daughter of Eng Ch Camrose Cabus Christopher. 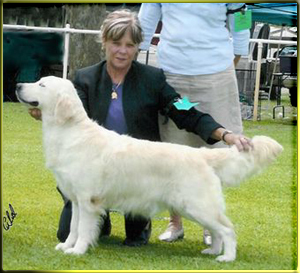 Tess has been a great ambassador for the breed having been a consistent winner in the showring and has passed on her great qualities and temperament to her children. 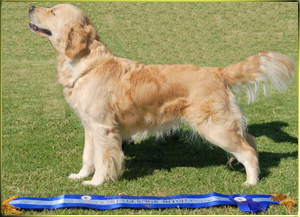 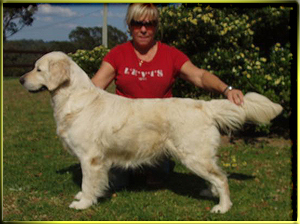 Best in Show Golden Retriever Club Specialty under Golden Retriever Specialist, Mrs Robyn Brown – Piarki Goldens. 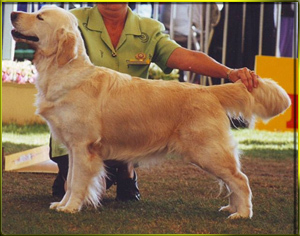 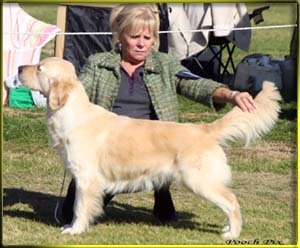 Suzie has been a consistent winner, having won 23 classes in Group, Best Puppy in Show at the Golden Retriever Club Specialty, and is a multi Best in Group and In Show winner, easily gaining her Championship Title. 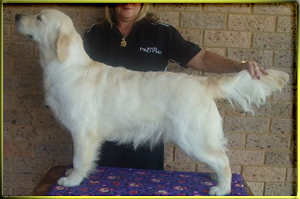 Bella has had a great start to her career having won numerous Baby in Show awards, including Baby Puppy in Show and Minor Puppy in Show at both the Golden Retriever Club NSW Specialty shows this year, also taking out the Summertime Cup for Best puppy 6/12 months from the Minor Puppy class.